Her mother was a brainy knockout with the sultry beauty of Marilyn Monroe, a raconteur whose fierce wit could shock an audience into hilarity or silence. Her father was a distinguished figure in American letters, the National Book Award?winning author of four of the greatest novels of World War II ever written. 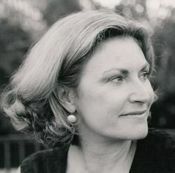 A daughter of privilege with a seemingly fairy-tale-like life, Kaylie Jones was raised in the Hamptons via France in the 1960s and '70s, surrounded by the glitterati who orbited her famous father, James Jones. Legendary for their hospitality, her handsome, celebrated parents held court in their home around an antique bar—an eighteenth-century wooden pulpit taken from a French village church—playing host to writers, actors, movie stars, film directors, socialites, diplomats, an emperor, and even the occasional spy. Kaylie grew up amid such family friends as William Styron, Irwin Shaw, James Baldwin, and Willie Morris, and socialized with the likes of Truman Capote, Norman Mailer, George Plimpton, and Kurt Vonnegut. Her beloved father showed young Kaylie the value of humility, hard work, and education, with its power to overcome ignorance, intolerance, and narrow-mindedness, and instilled in her a love of books and knowledge. From her mother, Gloria, she learned perfect posture, the twist, the fear of abandonment, and soul-shattering cruelty. Two constants defined Kaylie's childhood: literature and alcohol. "Only one word was whispered in the house, as if it were the worst insult you could call someone," she writes, "alcoholic was a word my parents reserved for the most appalling and shameful cases—drunks who made public scenes or tried to kill themselves or ended up in the street or in an institution. If you could hold your liquor and go to work, you were definitely not an alcoholic." When her father died from heart failure complicated by years of drinking, sixteen-year-old Kaylie was broken and lost. For solace she turned to his work, looking beyond the man she worshipped to discover the artist and his craft, determined that she too would write. Her loss also left her powerless to withstand her mother's withering barbs and shattering criticism, or halt Gloria's further descent into a bottle—one of the few things mother and daughter shared. From adolescence, Kaylie too used drink as a refuge, a way to anesthetize her sadness, anger, and terror. For years after her father's death, she denied the blackouts, the hangovers, the lost days, the rage, the depression. Broken and bereft, she began reading her father's novels and those writers who came before and after him—and also pursued her own writing. With this, she found the courage to open the door on the truth of her own addiction. 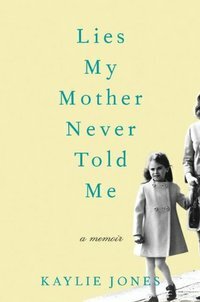 Lies My Mother Never Told Me is the mesmerizing and luminously told story of Kaylie's battle with alcoholism and her struggle to flourish despite the looming shadow of a famous father and an emotionally abusive and damaged mother. Deeply intimate, brutally honest, yet limned by humor and grace, it is a beautifully written tale of personal evolution, family secrets, second chances, and one determined woman's journey to find her own voice—and the courage to embrace a life filled with possibility, strength, and love. You will be added to the Kaylie Jones mailing list to receive occasional notices of interest. You'll also be added to the Fresh Fiction News. Unsubscribe options are available with each issue.